We’re excited that you want to learn more about the music here at Snowmass Chapel. 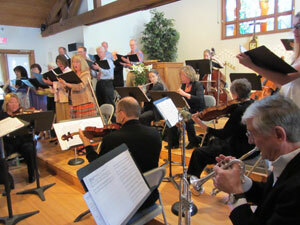 Our music ministry offers a little something for everyone. Whether you are a performer or an appreciator, we want you to be part of this great music adventure! Our worship style on Sunday morning is varied to say the least. We regularly incorporate acoustic guitar, folk performances, contemporary Christian music, classical music, and traditional hymns into our worship. Our YouTube page provides a wonderful overview of our multi-faceted approach to worship for the glory of God and the encouragement of His people. During the summer months we partner with the Aspen Music Festival and School to bring some of the finest classically trained musicians from around the world to the Chapel, who provide special music during our worship service (Sundays at 9am). We host periodic world-class concerts and theatre pieces, providing quality, affordable family entertainment to the Roaring Fork Valley. Check our Events Calendar to see what’s coming up. 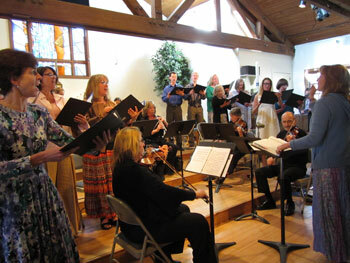 For Christmas and Easter, we pull out all of the stops with a performance by Snowmass Chapel’s Choir & Orchestra. They perform beautiful, traditional music for those seasons. Get a taste of past performances by visiting our YouTube page. There is always a need for volunteers for both of these events. If you would like to be involved in either, please email our Music Director, Paul Dankers.